2019 is a great year for new pickups, and the all-new 2019 Chevrolet Silverado will be making a starring appearance at the Portland International Auto Show in just a few weeks. 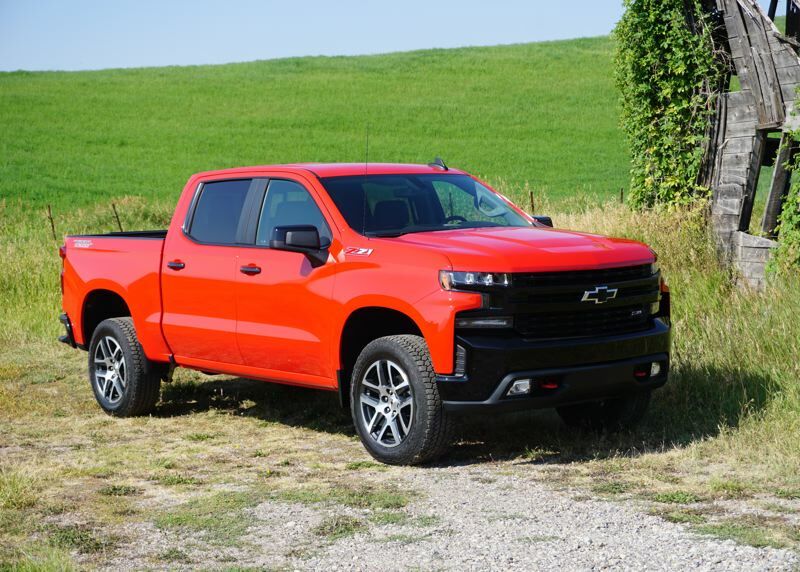 The 2019 Silverado has been completely redesigned, making Chevy's bread-and-butter truck bigger and better than ever before. The new Silverado is bigger than the outgoing model in every dimension. While it's only 1.7 inches longer, Chevy added 3.9 inches to the wheelbase by reducing the overhangs at the ends. 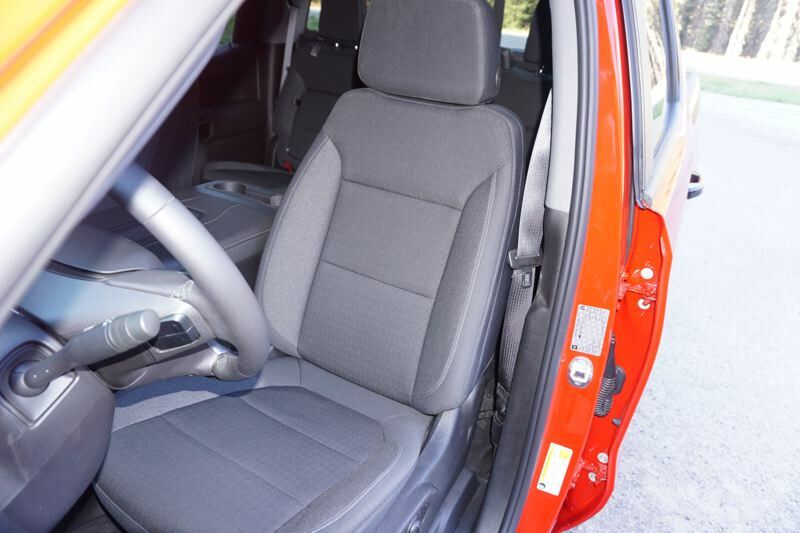 The extra space went into the cabin, and specifically into more legroom in the back seat of crew cab models. The cabin is also 1.2 inches wider and 1.5 inches taller than before. 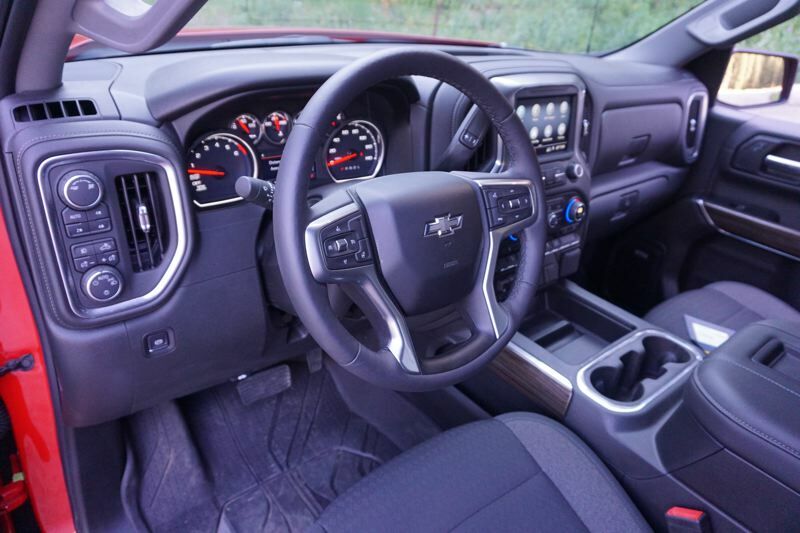 It may not sound like much, but the new Silverado is exceptionally roomy inside. Under the hood, Chevy has expanded the range of engines you can choose. New for 2019 is a 2.7-liter turbocharged four-cylinder. That's a bold move for a full-size truck, but this engine makes 310 horsepower and 348 pound-feet of torque. You would never guess it's a four-cylinder engine when you drive it. Another new feature is Dynamic Fuel Management, which cuts out cylinders when they're not needed. This is present on both the 5.3-liter and 6.2-liter V8 options. Unlike previous cylinder deactivation engines, the DFM feature has 17 different smooth-running modes, and it can switch between them in a fraction of a second. The 5.3-liter engine is rated at 355 horsepower and 383 pound-feet, while the 6.2-liter gives you 420 horsepower and 460 pound-feet of torque. Also available is the traditional 4.3-liter V6 and a forthcoming 3.0-liter turbo-diesel. 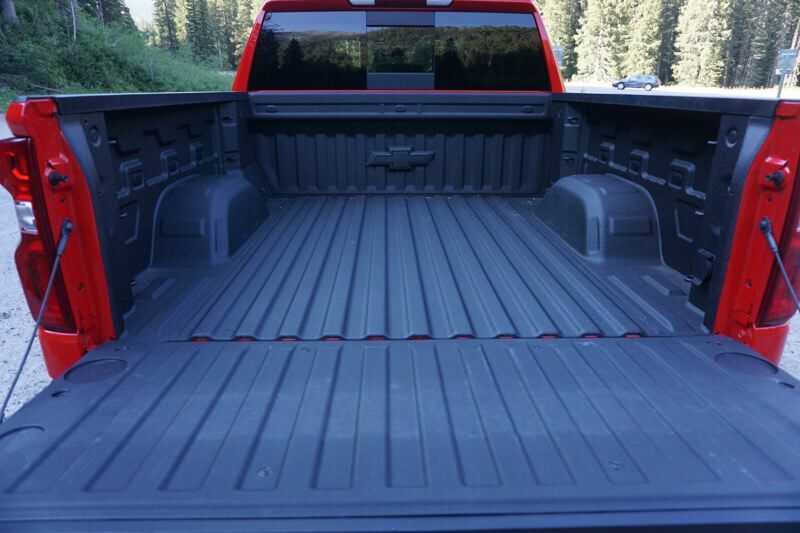 Inside, the Silverado has been redone to make the cabin quiet, and the work really paid off. Luxury passenger car brands try for this level of quiet, but they don't often achieve it. The new Silverado is comfortable and has all the modern tech features, such as a head-up display, front and rear parking assist, blind spot and lane change assist and rear cross traffic alert, forward collision mitigation, rear vision camera with bird's eye view, and 4G/LTE data connectivity. On the working side, the Silverado is better than ever. With the new four-cylinder engine, the Silverado will tow 7,200 pounds. You can tow 8,000 pounds with the base V6, or up to 12,200 pounds with the 6.2-liter V8. If you need 4X4 capability, you can choose between a single-range AWD system and a true dual-range 4WD system, although the latter includes Automatic mode for AWD operation. With eight trim levels to choose from, the bottom line on the 2019 Chevrolet Silverado is that you really need to experience this truck for yourself at the Portland International Auto Show, January 24-27 at the Oregon Convention Center.